10 Superstars who could appear on Smackdown 1000. The October 16th Episode of Smackdown Live is set to be the 1000th episode in the show's history. The show was started in 1999 and has been a staple of WWE Programming ever since. Only WWE's flagship show, Monday Night Raw has received more importance than Smackdown. Over the years, Smackdown has given us some of the most incredible moments and matches in WWE history. Some people even consider Smackdown to be the superior brand. Raw 1000 was an incredible episode of Raw with several returning legends and great matches. We should expect the same from Smackdown 1000 as well. Three huge matches are already being advertised for the show. AJ Styles defends his WWE Championship against Samoa Joe. Daniel Bryan faces The Miz and Jeff Hardy faces Randy Orton. In addition to these, The Undertaker is scheduled to appear on the show as well. When Smackdown first came about it was considered the 'Wrestling' show where in-ring work was given the first priority. Then it became the place where up and coming superstars were sent to experience main event success before they were brought over to Raw. As a result, several superstars made their name on the blue brand and became synonymous with it. Several of those superstars should make their way to Washington D.C in time for Smackdown 1000. Raw 1000 was an awesome episode and we should expect the same here. This is perhaps the unlikeliest one on the list. Brock Lesnar isn't part of the Smackdown brand nor is he a retired or semi-retired legend. 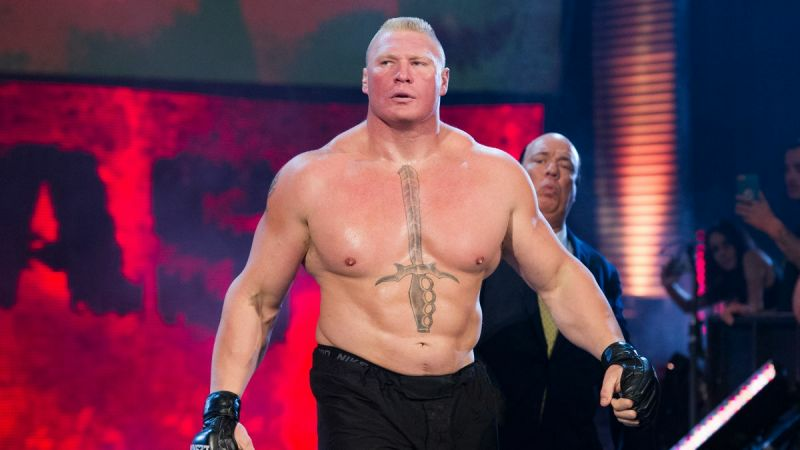 Lesnar is an active member of the Raw roster and lost his WWE Universal Title recently at Summerslam. But given Brock's contribution to the blue brand over the past years, it won't be too much of a surprise if Brock appears on Smackdown 1000. Brock joined the Smackdown brand after Summerslam 2002 where he became the youngest WWE Champion in history. He had amazing feuds with The Undertaker, Big Show and Kurt Angle on the blue brand. He also held the WWE Championship for most of his time on Smackdown. His 60 minute Iron Man match on Smackdown is still one of the best Smackdown moments of all time. His last feud on the Smackdown brand was against Eddie Guerrero to whom Brock lost his WWE Championship before starting a feud with Raw's Goldberg. Brock is currently one of the most polarizing figures in WWE. He was recently denied a Universal Championship rematch against Roman Reigns and is not scheduled to appear for WWE in the near future. He will be facing Daniel Cormier for the UFC Heavyweight Championship sometime in early 2019. So, it is really unlikely that he appears on Smackdown 1000. But this is WWE where anything can happen, so I kept him on.